A hotel full of soul in the northern part of the island of Pemba on the peninsula of Ras Kigomasha. 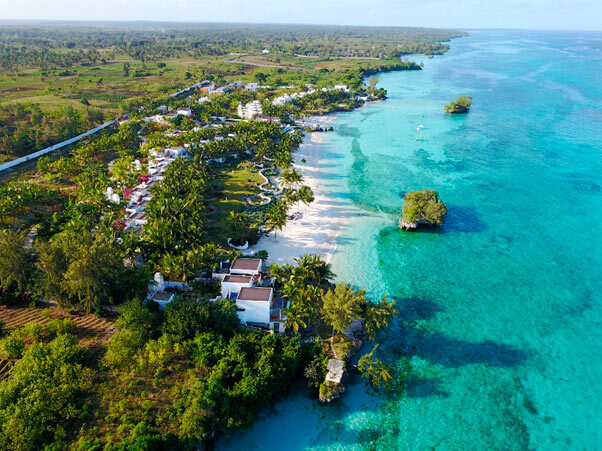 Constance Aiyana offers an exciting tropical retreat, an invitation to surrender to the true beauty of Pemba and the experiences that the hotel has to offer its clients as of this month of January. Mystically moving hotel, beautifully located on the island of Pemba, with an elegant minimalist decoration with a touch of Zanzibar. With 30 magnificent villas facing the turquoise lagoon, Constance Aiyana reinforces the conception of natural luxury on a human scale, in line with the leitmotiv of the group: “True by Nature”. Constance Hotels and Resorts is a group of 8 luxury hotels and resorts, each beautifully designed with its own individual character offering 5* comfort and escape in stunning island locations. Every one of our guests is treated as a VIP. At Constance Hotels and Resorts, we excel in offering personal service to make sure you enjoy the holiday of your dreams.